The Index continues moving upwards. Yesterday the price reached a new historic maximum. Most likely, after completing a local correction, the instrument will continue growing up. 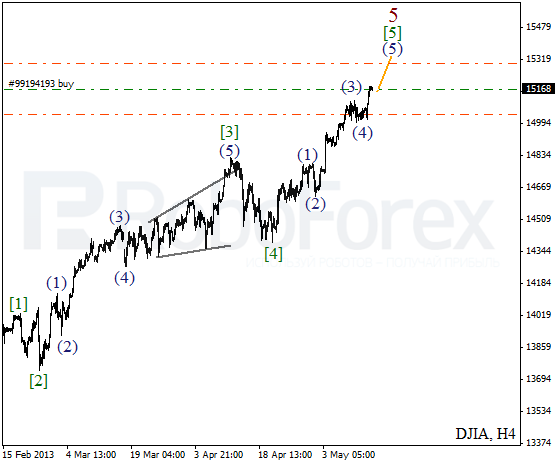 The target for the bulls is the level of 15300. More detailed wave structure is shown on the H1 chart. We may assume that the instrument formed an initial ascending impulse inside wave (5). During a correction, I opened a new buy order; the stop will be moved into the black as soon as possible. 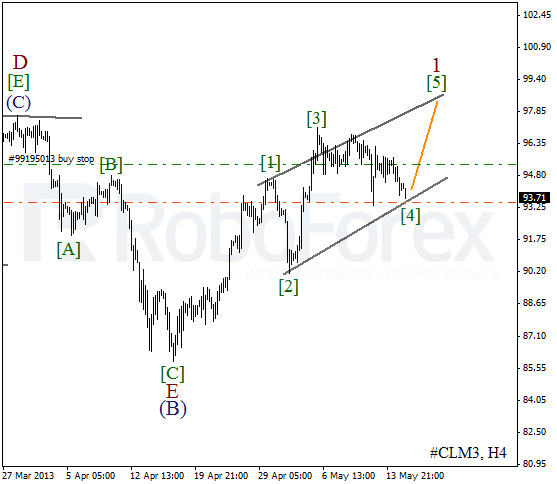 It looks like Oil is still forming wave . 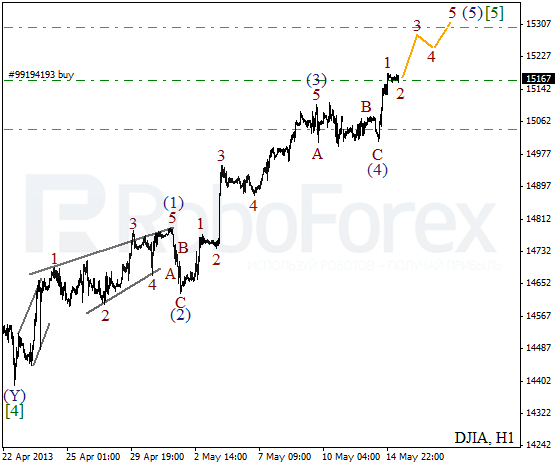 Later the price is expected to start growing up inside the fifth wave. I decided to place a pending buy order. More detailed wave structure is shown on the H1 chart. We can’t exclude a possibility that wave is taking the form of zigzag pattern. 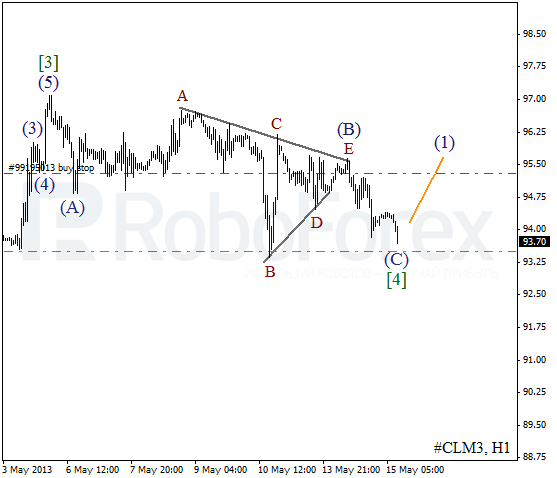 Currently the price is completing wave (C) and later we can expect it to start forming a new initial ascending impulse.